Some random pictures as I prepare for the show coming up. remember those porcelain bits with edges softened by the sea? some wristlets in the shop. 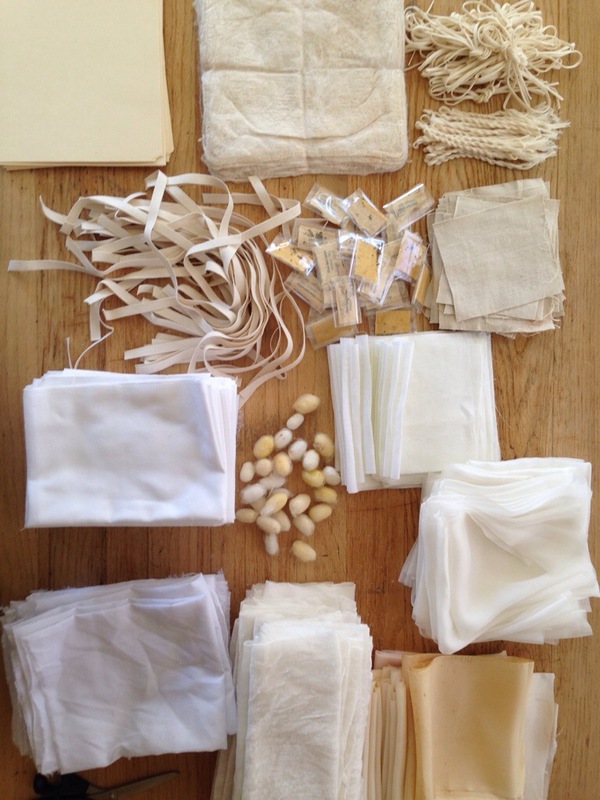 prepping fabrics and materials for the indigo workshop in Houston (booth 1620). This entry was posted in houston quilt festival, indigo, workshop and tagged hand dyed, indigo, pomegranate dye on October 9, 2013 by shiborigirl. 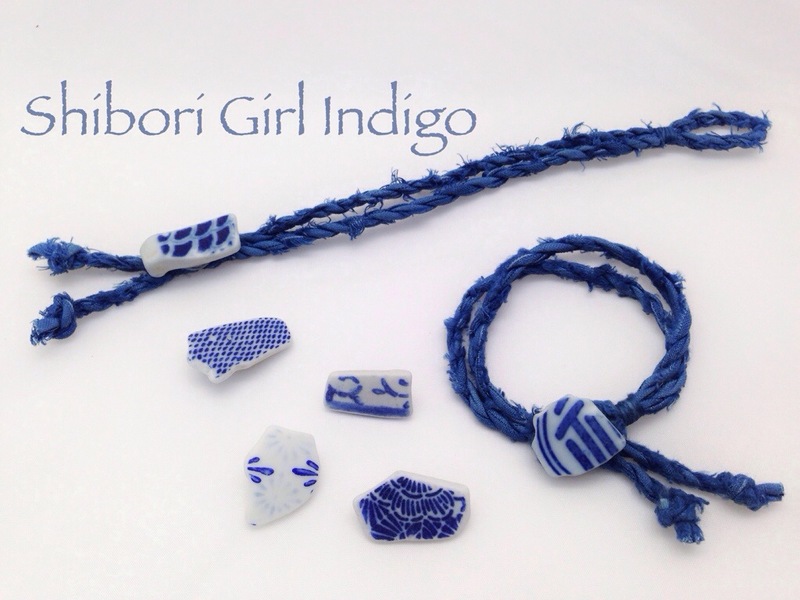 and just a small collection of indigo and pomegranate dyed bits. something for a small experiment. for someone wanting to try something new. all on old cloth. 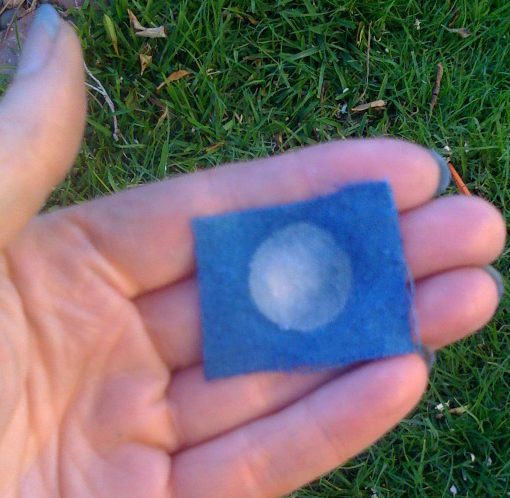 i am figuring out how to dye with these two separately and together. and what kinds of cloth works best. and everything else. here is a piece of old silk – silk warp and bast weft. 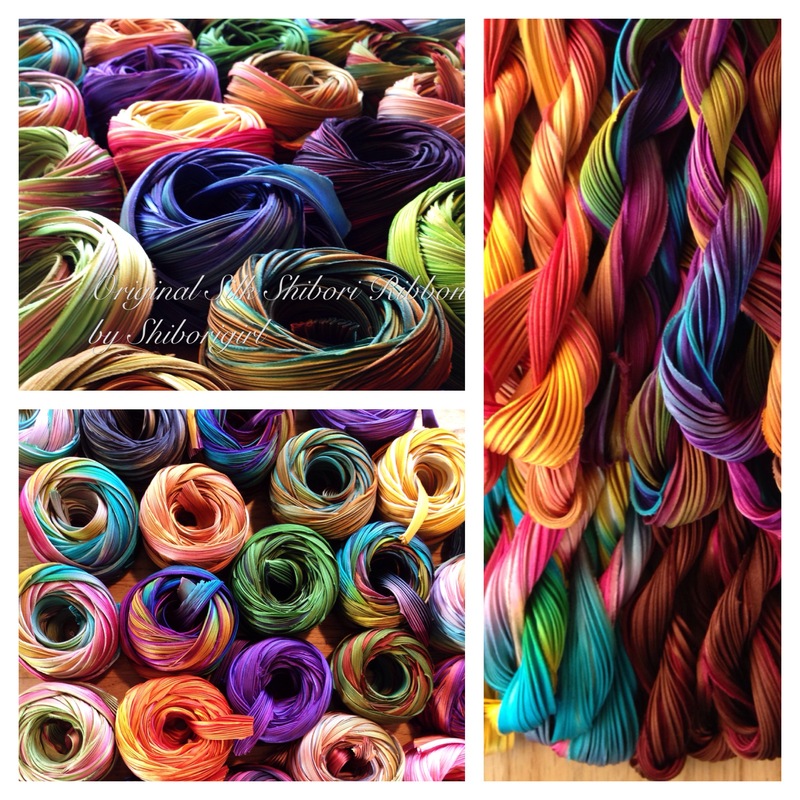 this may be the most favorite thing i have ever dyed so far. the silk floats in the jacquard pattern look like spun gold. 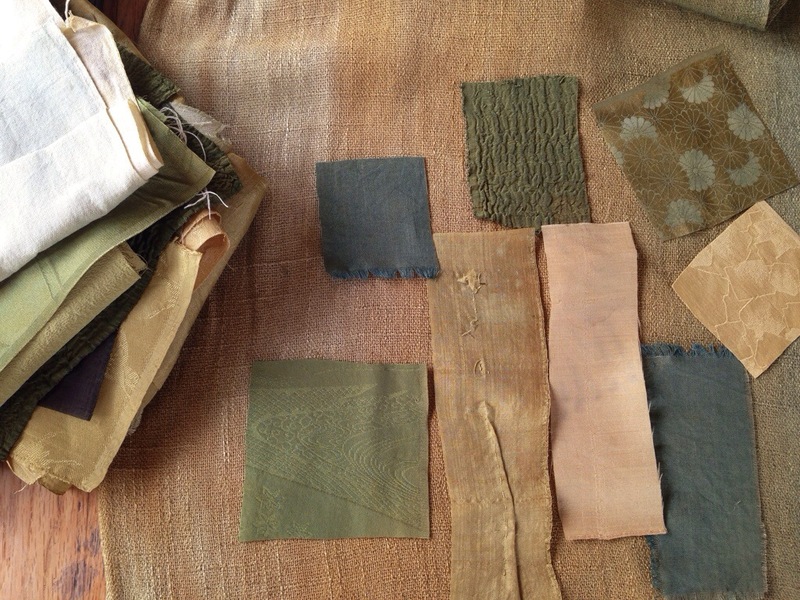 there’s a bit of it in the fabric collection…but i had to keep a scrap for myself. 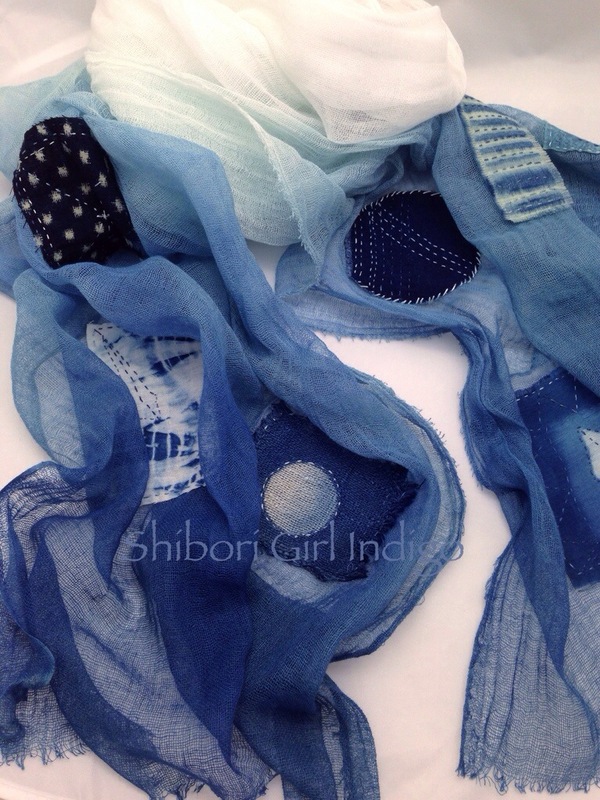 This entry was posted in experimenting, indigo, where to find my shibori and tagged indigo, pincushion, pomegranate dye, silk on September 21, 2013 by shiborigirl.